The story of three men in Sierra Leone in the late 1990s. Old academic Elias Cole lies in a hospital bed reminiscing about his life in Freetown in 1969 and his love for Saffia Kamara, the wife of his charismatic colleague. Elsewhere in the hospital is Kai, a gifted young surgeon, is tormented by nightmares from the civil war while British psychologist Adrian Lockheart is working at the hospital, trying to help those who have been affected by the civil war, and trying to find meaning in his work. The three of them meet in different ways and are more connected than they realise. I listened to the audiobook narrated by Kobna Holdbrook-Smith and this is definitely one of those books I would’ve DNF’d if I was physically reading it. I really didn’t like The Memory of Love for a lot of different reasons. Firstly, there are the three main characters. Chapters are told from each of their perspectives and Holdbrook-Smith does a good job at distinguishing between these characters with his voice. The three men have a lot of similarities, they’re all smart, stubborn and reserved but the only one I didn’t have a huge problem with was Kai. Kai is kind, thoughtful and a great uncle, his relationship with his eight-year-old nephew is the best. The big difference between Kai and Elias and Adrian, is his attitude towards women. He’s more respectful than the other two, though can still be infatuated. Elias becomes obsessive and almost stalkerish when it comes to Saffia, the way he describes her was unsettling, especially those moments when he could tell he made her feel uncertain or uncomfortable but didn’t care. Adrian has a wife and young daughter in the UK, but that doesn’t stop him cheating on his wife with musician Mamakay. He gets very jealous over Mamakay before they’re even together, and he is often ignorant and patronising of her life. Adrian likes to think he has a connection to Sierra Leone as his mother was almost born there, but really, he’s the white saviour type character and he doesn’t even realise it. Adrian and Elisa both made me angry at different times in the book, and their love stories weren’t that loving or romantic to me. The story itself was quite dull and very slow. It takes a long time for the connections between these three men to become clear and they all seem to drift through their lives. 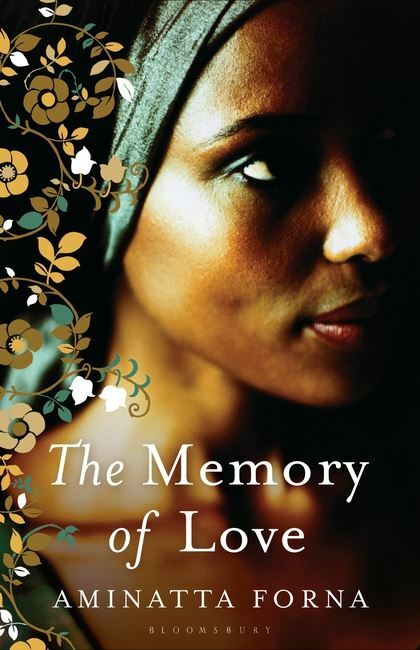 The Memory of Love is a story about love but it’s not a particularly romantic or even emotional story. I was never engaged with any of the characters or their pasts. There are many examples of how war as affected the country and its people, but it is always like a footnote in the three men’s lives. The people and the country have suffered a great deal of trauma, but I never really felt the full affects of that. This is a personal taste thing but as someone that can’t watch medical dramas on TV because of the blood and the surgeries, I found listening to some of the description in The Memory of Love really hard going. When Kai is in an operating theatre everything is described in vivid detail; what he and the other medical staff are doing, the blood, the bones, the pus, and it honestly made me feel a bit queasy at times. Another thing that’s described in minute detail is Adrian’s diagnosis of various patients and the ins and outs of various mental health issues. This attention to detail made it feel more like a medical journal than a historical fiction book and made the story almost grind to a halt when it was being all educational. In The Memory of Love two out of three of the main characters are unlikable, and at times infuriating, the story wasn’t engaging and nothing about it was memorable. I was just going through the motions listening to this on audio, just like the characters were and their lives and romances weren’t captivating at all. 1/5.